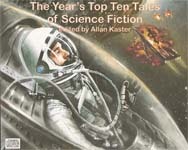 The Year’s Top Ten Tales of Science Fiction edited by Allan Kaster, is the subject of the latest review by audiobook (and graphic novel) enthusiast Susan Dunman over on SFsite.com. 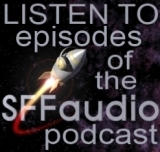 Susan sez of it “there’s something here for any science fiction fan to appreciate and enjoy.” She singles out The City of the Dead by Paul McAuley as her favorite story in the collection. She also slams one tale saying “I don’t think I ever really got the point, unless it was that scientists can believe and do incredibly stupid things.” To find out which one get’s Susan’s scorn, go on over to SFsite to |READ HER REVIEW| in full.